It’s not often you can eat dessert for breakfast and actually feel good about it! The recipes of Fall make me happy…maybe because they usually warm me up from the inside out? But the flavors of Fall have captured my heart and is probably why this is one of my favorite seasons. 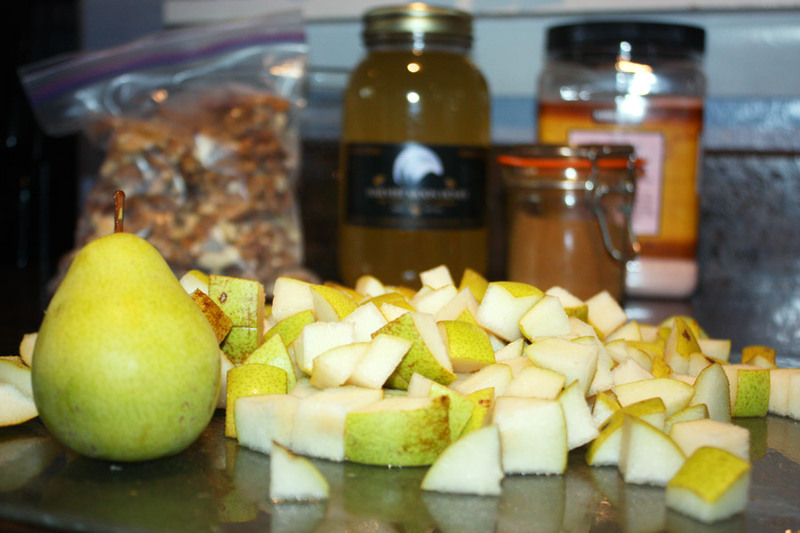 One such recipe is this Cashew Walnut Pear Crisp. With the sweetness of the pears and honey, and the rich buttery-ness from the nuts and pasture butter, this is one of those recipes that’s perfectly acceptable no matter the time of day. In the blogging world, I get to meet some pretty awesome peeps with incredible imaginations for some mighty tasty recipes. The inspiration for this recipe came from Raia’s Recipes and her Grain-Free Almond Walnut Apple Crisp. I instantly had a craving to make it for breakfast, but we were out of apples and almonds, which piqued my own inspiration and I created this spin-off recipe! Not only was I out of apples, but I didn’t have almonds either. 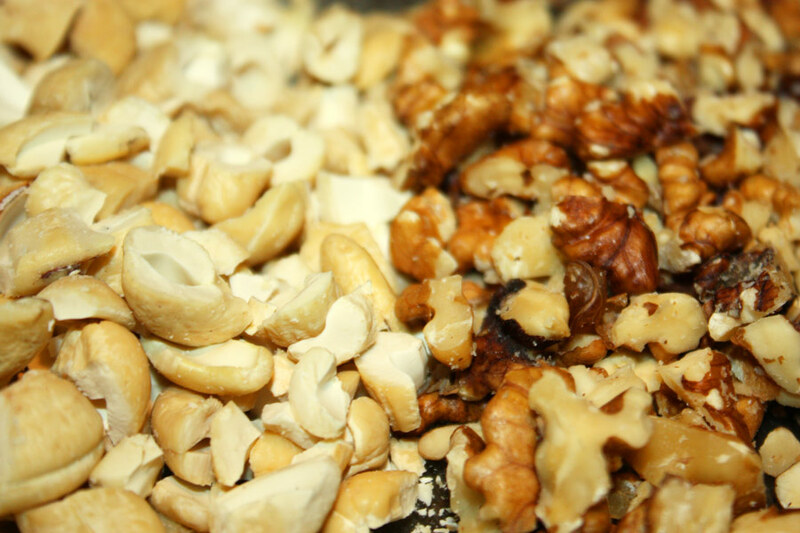 I always have cashews a plenty, and, in my opinion, there’s no better flavor combination than nuts, maple syrup and butter, so I swapped the healthy coconut oil for healthy pasture butter, and the honey for maple syrup. 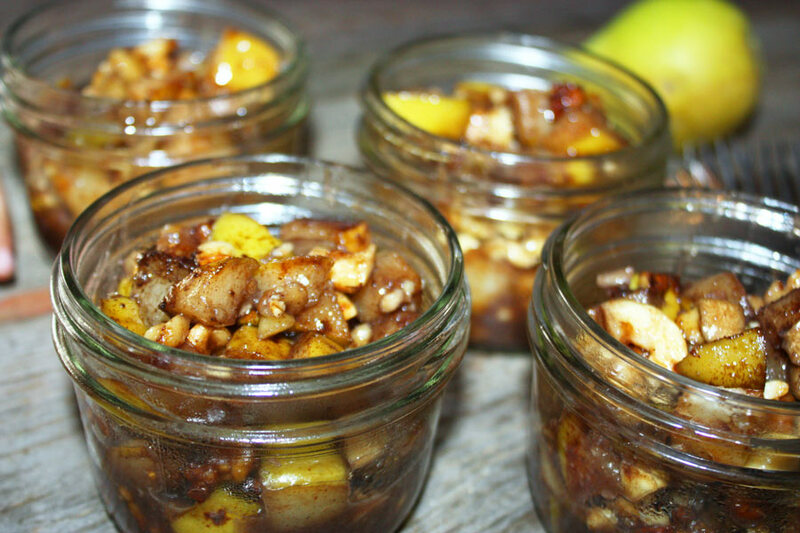 We hope you enjoy this Cashew Walnut Pear Crisp as much as we do! I can say for certain this recipe (or Raia’s apple version) will be gracing our breakfast table weekly all fall/winter long! This recipe is perfectly adaptable to fit right in with a gut healing and hormone balancing diet. For more information on our meal plan, click the image below. 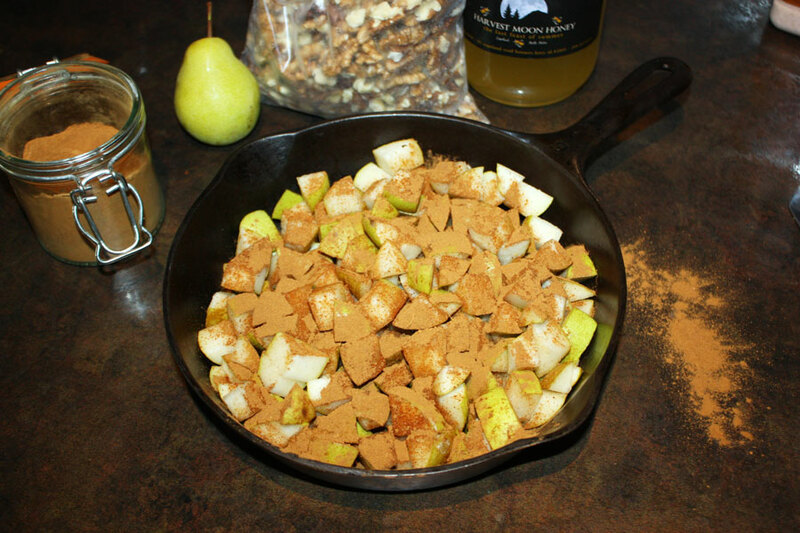 Chop the pears into 1/2 inch cubes and place into a 9-inch cast iron skillet (or 9×9 inch glass baking dish). Sprinkle with pumpkin pie spice and salt, stir to combine. Drizzle maple syrup over the top and set aside. Chop the nuts and place into a bowl. Using your hands (because let’s face it, that’s easiest) mix together the butter and nuts (or coconut oil for DF). Add salt and maple syrup and stir to combine. Press nut mixture over the pears and bake for 25-30 minutes until golden brown and bubbly. Serve as is or take it over the top with a splash of raw heavy cream. Enjoy! Substitute honey to be GAPS friendly. Substitute coconut oil and omit the raw cream to be dairy-free. This looks SO scrumptious and filled with fabulous flavour and textures! Thanks Carol! We hope you like it! Mmm cashews and pears sound absolutely amazing- nice combo! YES! Thanks Shelby. It was a happy accident! This often happens when I plan to make a recipe and then realize I don’t have all the ingredients! I pinned this yesterday. It looks so amazing and delicious.